The problem that I have is that the tire store employees are under pressure to sell tires. I had to tell the assistant manager of my tire store to go away and stay away from me because it was obvious that he was only there to sell me tires whether I needed them or not. Well if you could get to the hotest spot it is a little above 200F. The problem is this spot is internal to the tire structure so the best you can do is measure the temp of the air in the tire. This means about 160 - 170 would be the max but again how to measure. 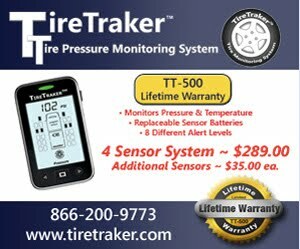 Most TPMS are external to the air chamber and cooled by outside air so 158F or 70C is a number most use as the high temp warning level.